Work-related injuries are a costly annual expense, but cut and burn accidents can be easily prevented by investing in employee safety solutions. 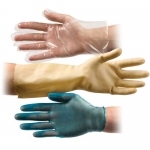 While cut-resistant gloves prevent punctures and cuts, the importance of hand protection is not limited to cutting food: DayMark Safety Systems also offers protective gloves for dishwashing, picking up glass, and taking out trash. Oven mitts and steam gloves protect against burns and three finger Kevlar gloves allow for safe handling of extremely hot items. 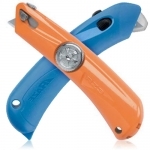 Education & training products assist in teaching employees about proper safety procedures.